Diabetes causes energy metabolism disturbance and may lead to cardiac dysfunction. Mitochondrial aldehyde dehydrogenase 2 (ALDH2) protects cardiac function from myocardial damage. Therefore, understanding of its roles in diabetic heart is critical for developing new therapeutics targeting ALDH2 and mitochondrial function for diabetic hearts. This study investigated the impact of ALDH2 deficiency on diastolic function and energy metabolism in diabetic mice. Diabetes was induced in ALDH2 knockout and wild-type mice by streptozotocin. Cardiac function was determined by echocardiography. Glucose uptake, energy status, and metabolic profiles were used to evaluate cardiac energy metabolism. The association between ALDH2 polymorphism and diabetes was also analyzed in patients. Echocardiography revealed preserved systolic function and impaired diastolic function in diabetic ALDH2-deficient mice. Energy reserves (phosphocreatine/adenosine triphosphate ratio) were reduced in the diabetic mutants and were associated with diastolic dysfunction. 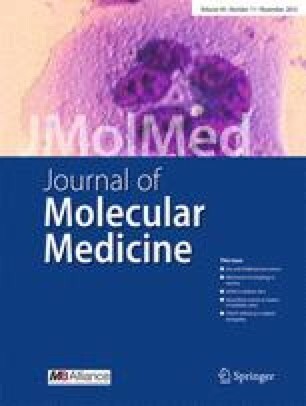 Western blot analysis showed that diabetes induces accumulated lipid peroxidation products and escalated AMP-activated protein kinase–LKB1 pathway. Further, ALDH2 deficiency exacerbated the diabetes-induced deficient myocardial glucose uptake and other perturbations of metabolic profiles. Finally, ALDH2 mutations were associated with worse diastolic dysfunction in diabetic patients. Together, our results demonstrate that ALDH2 deficiency and resulting energy metabolism disturbance is a part of pathology of diastolic dysfunction of diabetic hearts, and suggest that patients with ALDH2 mutations are vulnerable to diabetic damage. ALDH2 deficiency exacerbates diastolic dysfunction in early diabetic hearts. ALDH2 deficiency triggers decompensation of metabolic reserves and energy metabolism disturbances in early diabetic hearts. ALDH2 deficiency potentiates oxidative stress and AMPK phosphorylation induced by diabetes via post-translational regulation of LKB1. Diabetic patients with ALDH2 mutations are predisposed to worse diastolic dysfunction. Cong Wang, Fan Fan and Quan Cao contributed equally to this work. The online version of this article (doi: 10.1007/s00109-016-1449-5) contains supplementary material, which is available to authorized users. The authors acknowledge Liming Wei (the Institute of Biomedical Science, Fudan University) for technical support. This work was supported by National Natural Science Foundation of China (81570224; 81521001). This study was carried out in accordance with the Guide for the Care and Use of Laboratory Animals, Eighth edition (2011). All procedures were approved by the Institutional Animal Care and Use Committee of Fudan University. The human polymorphism protocol was approved by Fudan University Ethics Committee and all participants provided informed consent for participation in accordance with the Declaration of Helsinki (World Medical Association and R281).